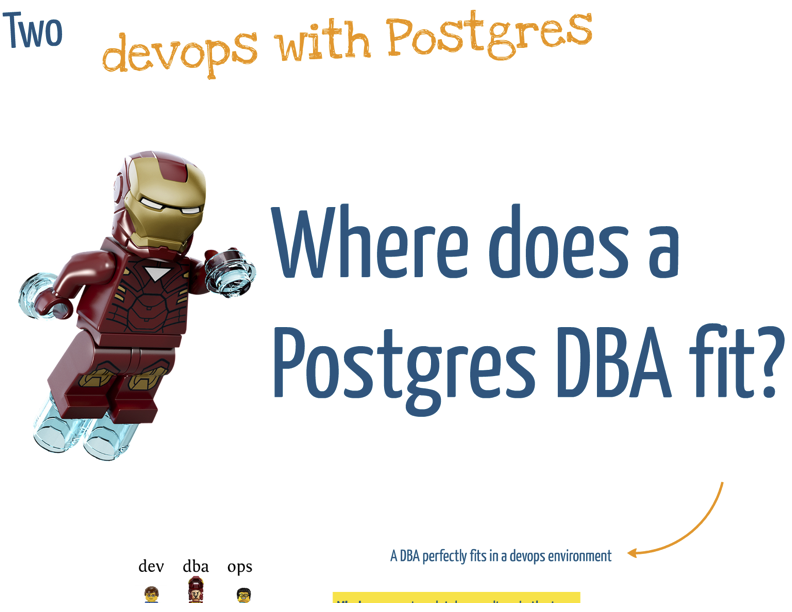 A few days ago, Marco Nenciarini and I presented at FOSDEM 2014, in the PostgreSQL Devroom, the talk “Managing Postgres in a devops environment“. The slides of the talk are available on Prezi, under Creative Commons terms. The presentation is a summary of what we have been successfully adopting at 2ndQuadrant Italy in the last two years, in terms of best practices, methodologies (including Kanban and SCRUM) and technologies. As outlined in the talk, after only 3 months of Kanban adoption, our average lead time (from conception to final delivery of tasks) has decreased from 16 days to 7.5 days – not a bad result after all. Following my two previous articles on “Postgres and devops” (part one and part two), Marco has released a very simple project on Github that allows you to setup an Ubuntu Linux 12.04 virtual machine running PostgreSQL 9.3 using Vagrant and Puppet. With just one single command (vagrant up), you will be able to start you local PostgreSQL server for testing and development, wherever you are and whenever you need it. Feel free to test it and let us have your feedback. 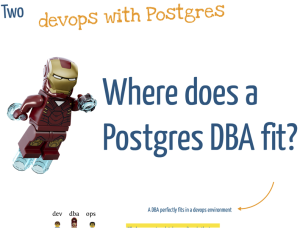 Please share your ideas and comments about Postgres and devops as we would like to see this cultural movement expand more even within our community – as it worked for us.